Welcome to the Atticus Hotel. 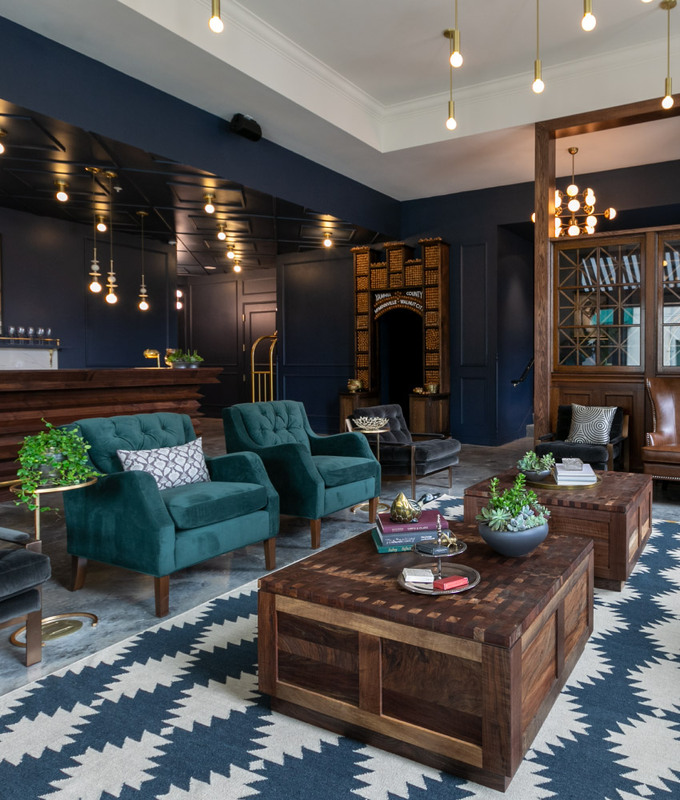 A luxury lifestyle hotel in Historic Downtown McMinnville–the heart of Oregon Wine Country–the 36 room Atticus Hotel has grown out of the roots of our community. Our appreciation of the magical town of McMinnville and the surrounding Willamette Valley is second only to the unique understanding we have of it — something we’re eager to share at every opportunity. 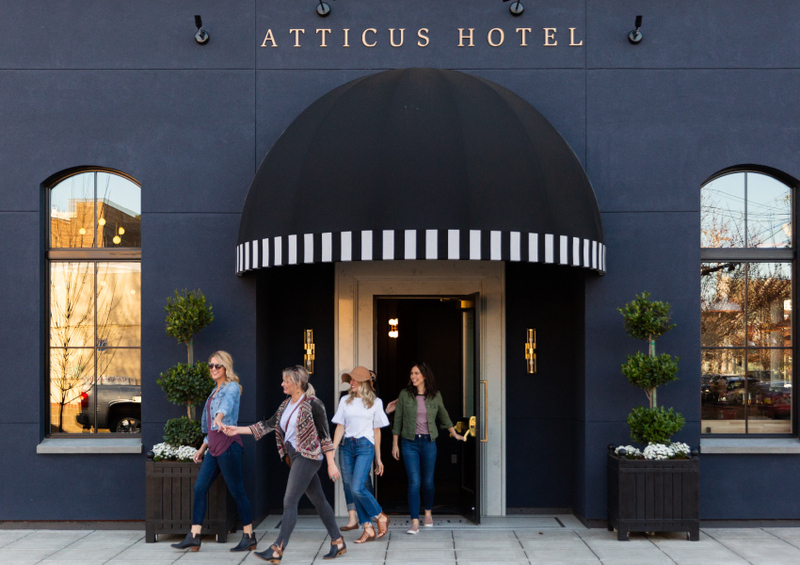 At the Atticus Hotel, we know it’s the added detail in every distinctive room and our insider’s perspective that enable you to soak up our Oregon wine country lifestyle. It’s what makes the Atticus much more than a hotel: it’s where you belong. 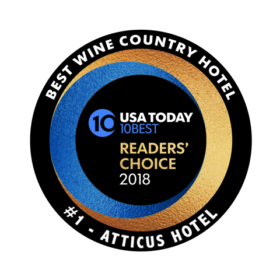 A luxury lifestyle hotel in Historic Downtown McMinnville–the heart of Oregon Wine Country–the 36 room Atticus Hotel has grown out of the roots of our community. An aggregation of small things creates a big experience at the 36 room Atticus Hotel in McMinnville. Any hotel can claim locality, but we wear it on every wall. 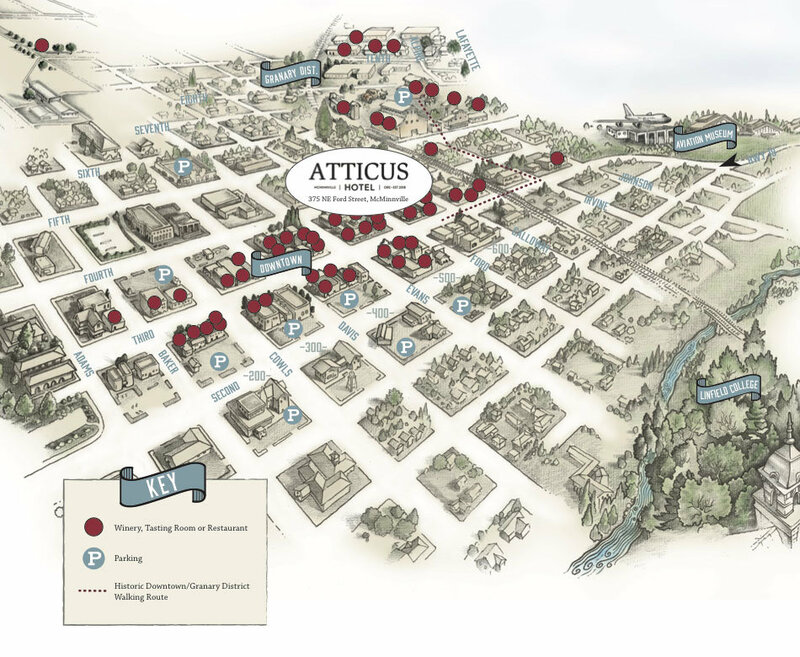 Each room at the Atticus Hotel is a direct reflection of the vibrant community we reside in. Featuring local artists, craftsmen and designers, each one of our 36 luxury rooms is different, reflecting the creative and independent spirit of the community we call home. We invite you to explore our hallways, chat up our staff and become a local while staying in one of our thoughtfully designed rooms. Whether you’re celebrating a wedding in our Penthouse, an anniversary in a Suite, or having a raucous good time in our Luxury Bunkhouse, you’ll discover the soul of Oregon by residing in one of its great historic towns. Welcome to the Atticus Hotel. Any hotel can claim locality, but we wear it on every wall. Each room at the Atticus Hotel is a direct reflection of the vibrant community we reside in. Featuring local artists, craftsmen and designers, each one of our 36 luxury rooms is different, reflecting the creative and independent spirit of the community we call home.